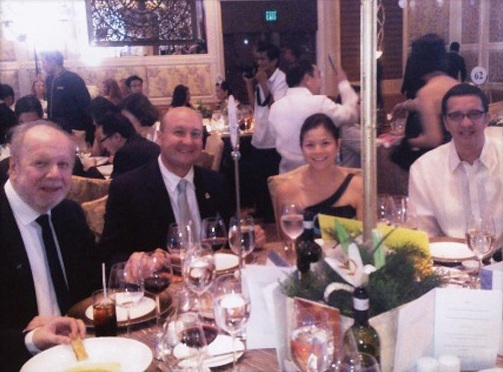 December 4, 2010 – The San Marino Consulate Office in Manila joined other representatives of the different nations based in the country in the annual Consular Ball, hosted by the Consular Corps of the Philippines. The ball was held at the Rizal Ballroom in Makati Shangri-La Hotel. The Consular Corps of the Philippines is an elite group of diplomats engaged in foreign service. In the photos are Ambassador Philippe J. Lhuillier, former Philippine Ambassador to Italy, Jean Henri Lhuillier, Honorary Consul to San Marino, and his wife Bea Lucero, Andre Lhuillier, Danny Francisco, Marissa Ancog, Ergie Ong and Rommel Bernado.